Now that you've seen the damage here are some more details. The wheel went back to the wheel balancing machine to check if it was out of balance. The wheel is within tolerances and spins perfect. 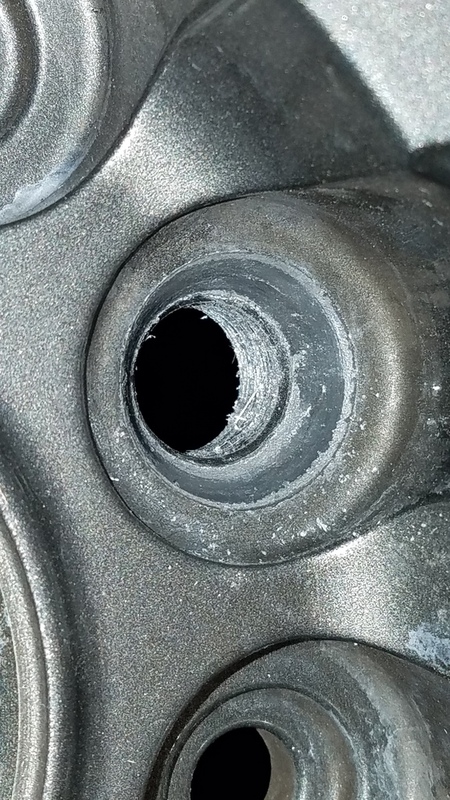 The wheel also holds air perfectly fine and I can mount the wheel back on the car with no issue (no weird wobbles when I shake or move the wheel on the car in the air). 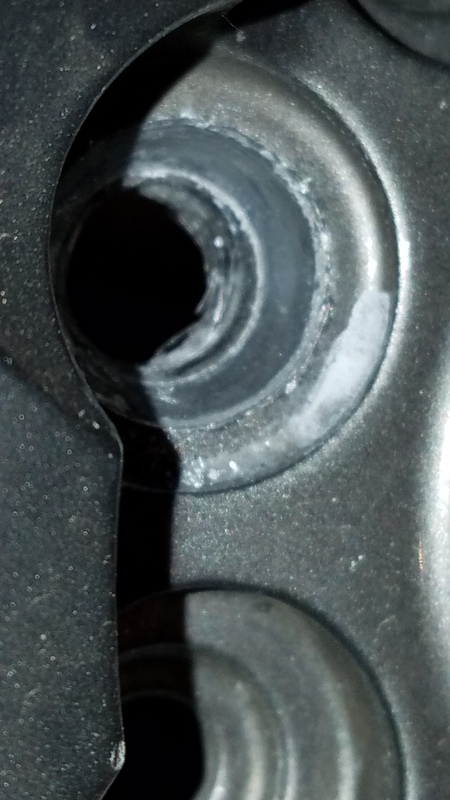 From what I can see it's just cosmetic damage but I want to make sure. 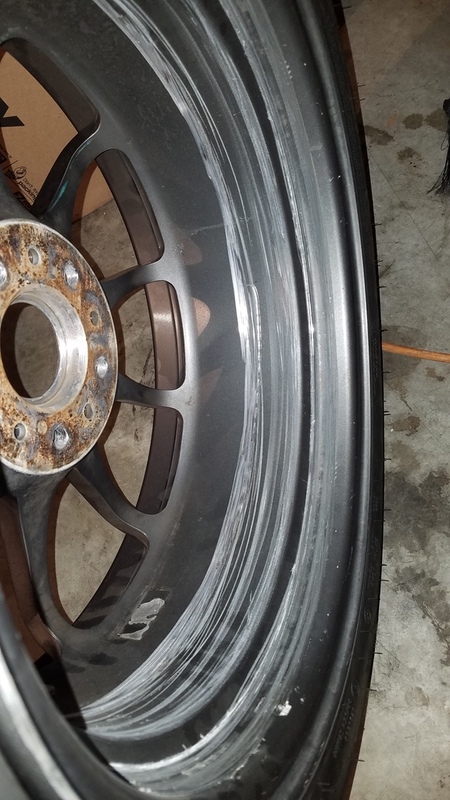 Is there a shop any of you will recommend to get the wheels fixed? 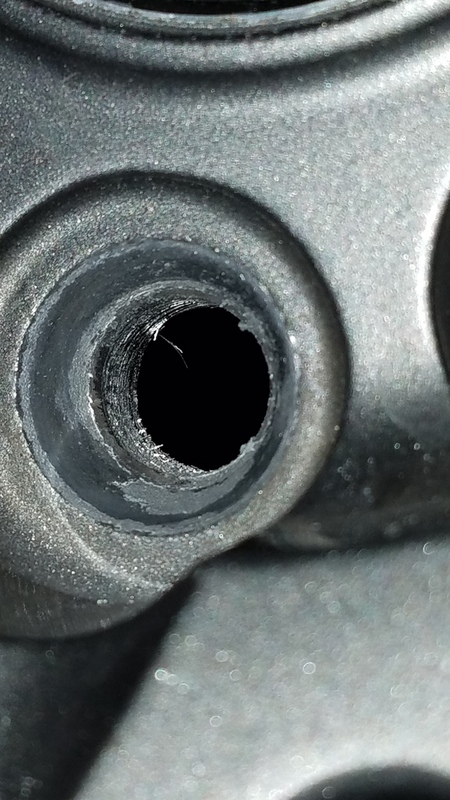 The barrel has deep scratches and gouges and the bolt holes were chewed up by the studs (I think). Thanks in advance! As far as the wheels go, I would recommend Al Reed Polishing. He's been in business in LA for about 40 yrs. He was one of the original guys who could actually repair damaged wheels in the first place. I've used him many times. Members of the Porsche Club of America send their vintage Fuchs wheels to him from all over the country for repair and refinishing. And his prices are good. Al and his wife Diane are really good people. But they are old school, and he's sort of a gruff curmudgeon Don't be surprised if you call, that he simply says bring the wheel down to let me take a look at it. i would just get a new wheel to be safe. 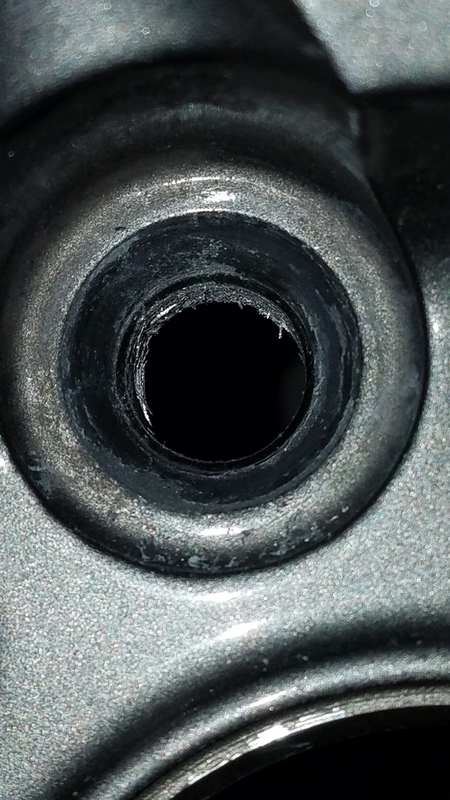 i'm guessing the wheel barrel damage is due to the ball joint and/or brake disks hitting the wheel as it came off. The wheel could be structurally compromised. If you're on a budget, a simple refinish might be ok, but if you can afford it, just replace the wheel for peace of mind. When he refinishes wheels, does he paint them or powder coat them? I am looking for a good shop to refinish and paint my forged wheels as well. I choose paint over powder coat, because there is a lot of controversy and mixed experiences of forged wheels becoming more brittle and losing structural integrity from the heating and cure process (mainly if done wrong for forged wheels). So after trying to get a hold of them over the phone I finally got a reply on my wheels. I had to email them pictured of the wheel and the damage. Diane replied back saying that they couldn't repair the wheels and that they only work on Porsche classic wheels. I'm gonna cheek out another shop that does re drilling and aluminum welding. If anyone has recommendations, I'm open to them. I'll keep you posted. Wheel repair shop in the north end? Wheel repair shops? Bent wheel. wheel repair shops? bore enlarge shops?